The statistic shows the percent of households in the United Kingdom that have a landline telephone. The distribution is based on their household composition. The survey was conducted in 2018. In this year, 68 percent of households consisting of 'one adult, non-retired ' had a telephone. 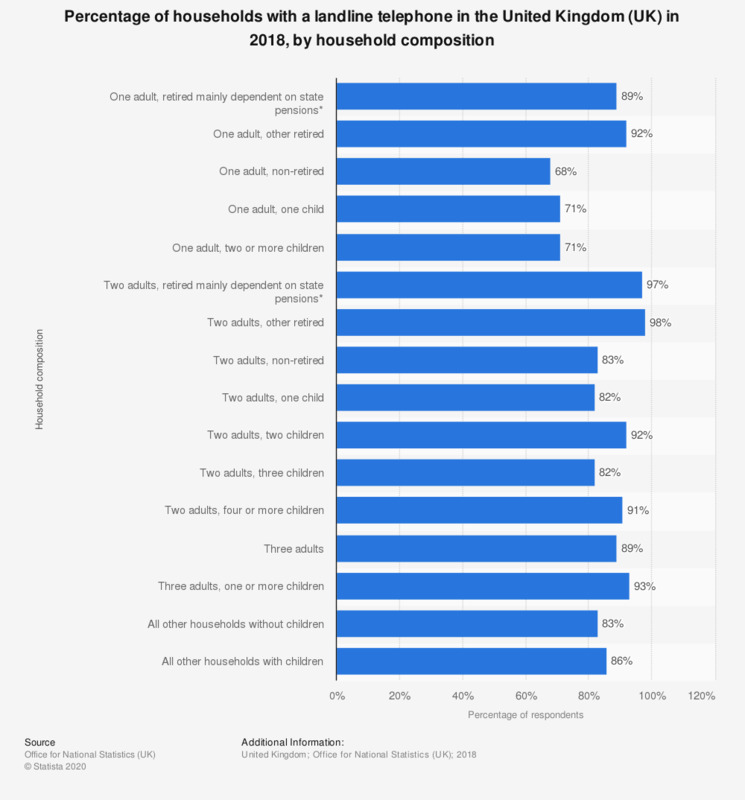 In households consisting of two adults and four or more children, 91 percent of respondents had a telephone.